looks from the past few days. 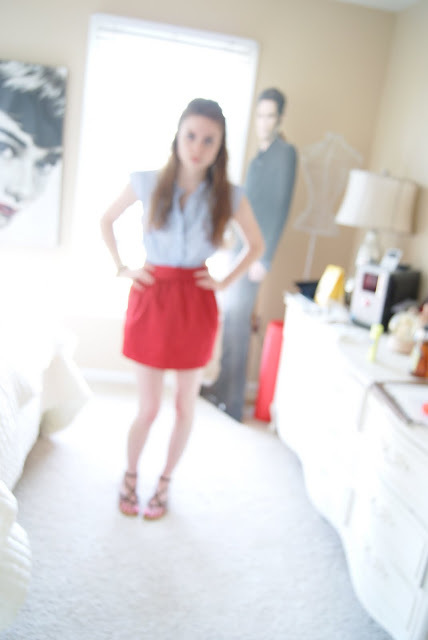 lovin the red skirt, and the new layout!! love love love the first outfit! Check out my little giveaway if you haven't already.. Ends tomorrow! Happy Easter! 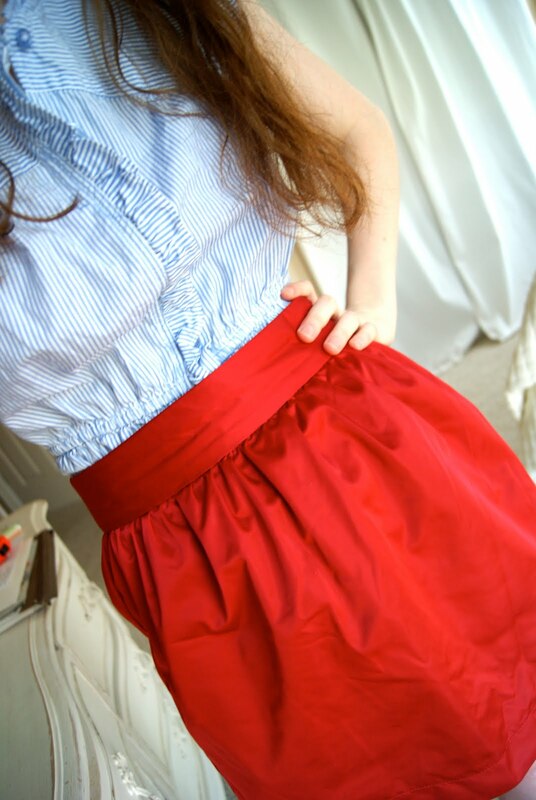 Love the skirt and the color of it. Happy Easter Emily! Love the first outfit, and the signature blurried pics, of course! Have a wonderful week! you are too gorgeous for words- i lOVE your style!! jean jackets are in again- im so excited .. & apparently ... clogs? and your outfits of course. Glad you had a good Easter!! I love the gold belt!!! 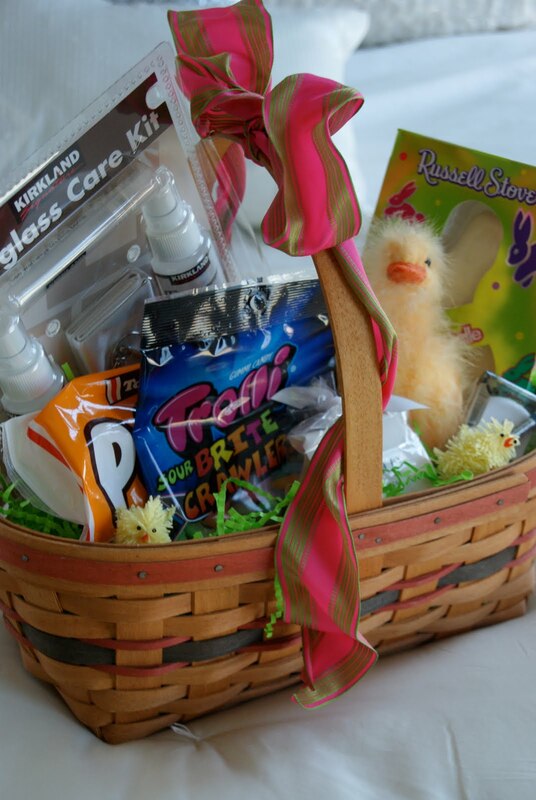 Love that there's a glass care kit in the basket - practical gifts are always better than junk. Love those cute little bloomers! Happy Easter, Emily! i've never commented on your blog before but have been following it for a couple months. do you have a tumblr? i think you'd love it. it's mini-posts and people post pictures of fashion and funny things and songs and all sorts of stuff. it seems right up your alley. i'm www.growupandblowaway_.tumblr.com if you do decide to try it out. Have I ever told you you have sweet, sweet style? I wanna raid your wardrobe!